NEW PRICE! MOVE-IN READY! Shows Pride of Ownership! 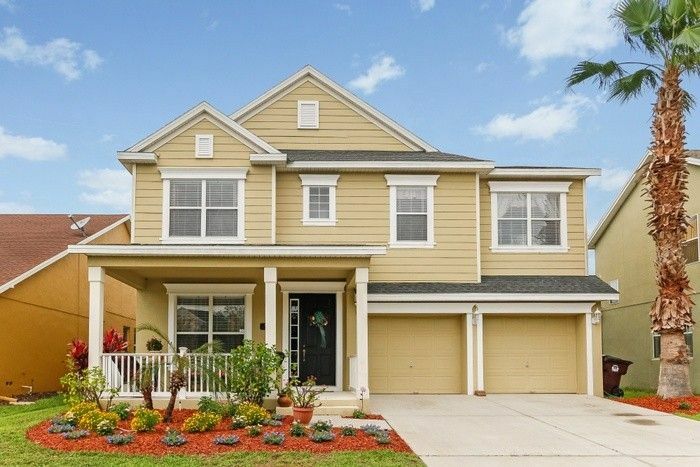 Located just minutes from the Lake Nona Medical City, parks, shopping and more! Beautiful two story home in the community of Turtle Creek in Saint Cloud! Many upgraded features and extremely well maintained. The floor plan features a formal living and dining room combo, an open kitchen concept with a dinette and family room, large and spacious master bedroom, 3.5 bathrooms, big backyard with a covered and screened lanai (39x10 with pavers). The master bedroom features a walk in closet and spacious master bathroom with garden tub and dual sinks. The kitchen includes all appliances (refrigerator less than a year old), new deep sink and faucet, 42" cabinets and a closet pantry. Ceiling fans in each room and many other details throughout. Schedule a private showing!